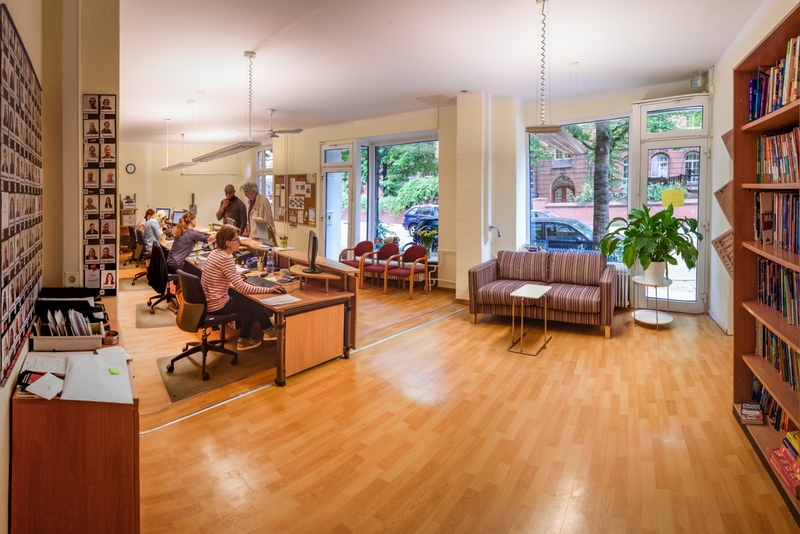 Located in Wilmersdorf, on the border of Schöneberg and Charlottenburg, DIE NEUE SCHULE has been in operation since 1984 and was only the second private language school to open in Berlin. Over the last 30 years, they have grown from a modest school offering a few classes, to a comprehensive language school offering classes from beginner to advanced across multiple languages. 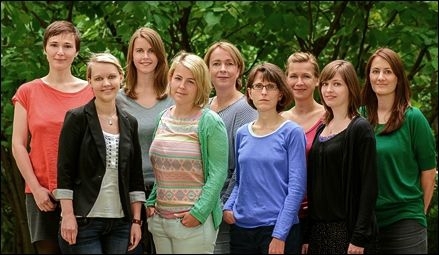 Their highly qualified and experienced language teachers along with the positive learning environment are the biggest factors to the success of DIE NEUE SCHULE and the number of high profile companies who choose to partner with DIE NEUE SCHULE to provide their business language training is further testament to the quality of their teaching and organisation. 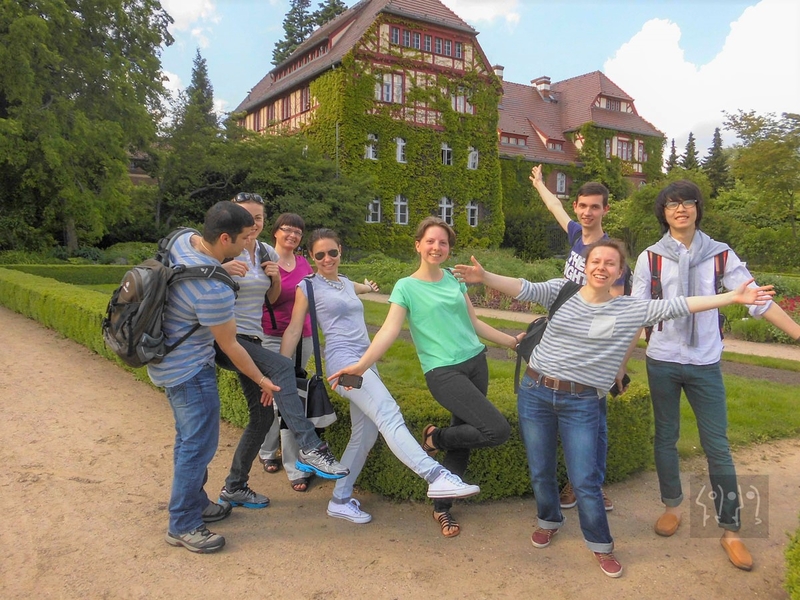 Although DIE NEUE SCHULE attracts a wide range of students of various cultures and nationalities, the typical student tends to be very goal oriented, culturally engaged and more often than not has an academic background. 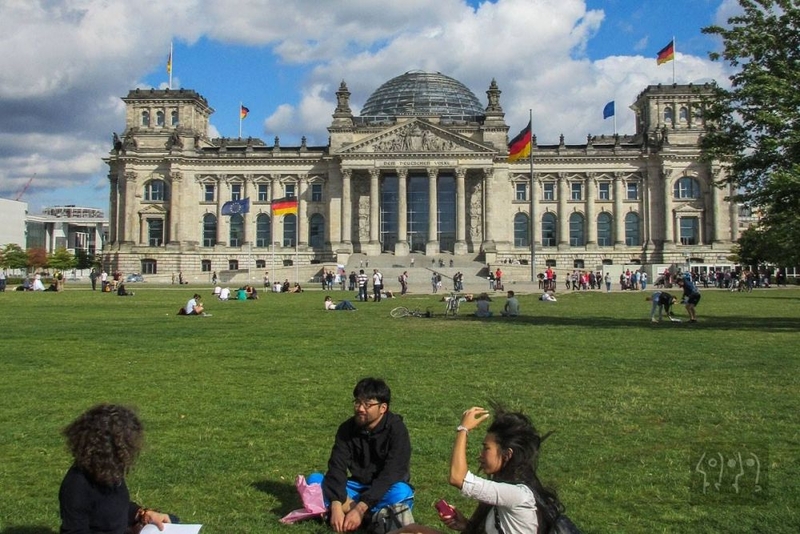 Many students are learning German in preparation for study at German universities, or for employment with German based companies. 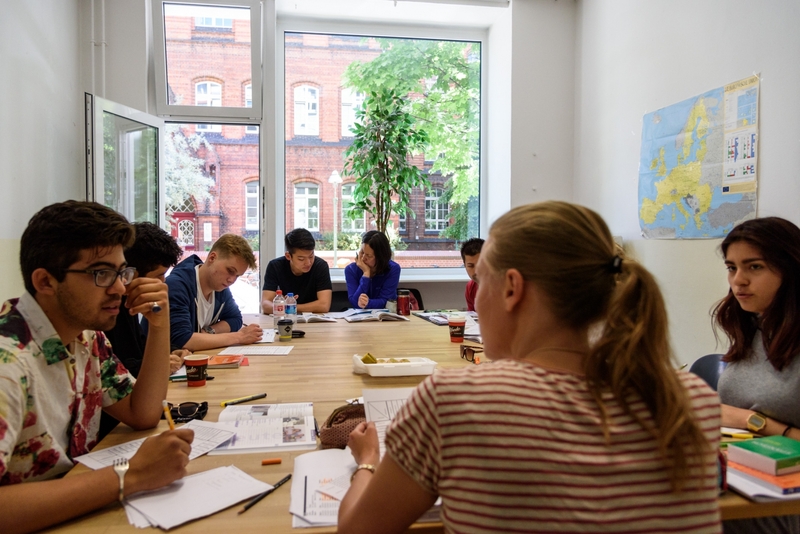 This increased level of motivation and academic background has a very positive effect on the atmosphere and learning environment in the classes and makes DIE NEUE SCHULE the perfect choice for people looking to get the most out of their language learning experience. DIE NEUE SCHULE offers full-time intensive courses as well as extensive evening classes, both taught in groups and throughout the year. Courses can be started any Monday subject to availability, except for total beginner classes (A1). Especially during summer, classes can fill up quickly, so it is best to book 4-6 weeks in advance to secure a spot. Students who prefer to set their own schedule and have individual content to cover may book private tutoring. For a price list of the various options, check out the prices tab above or visit their website. 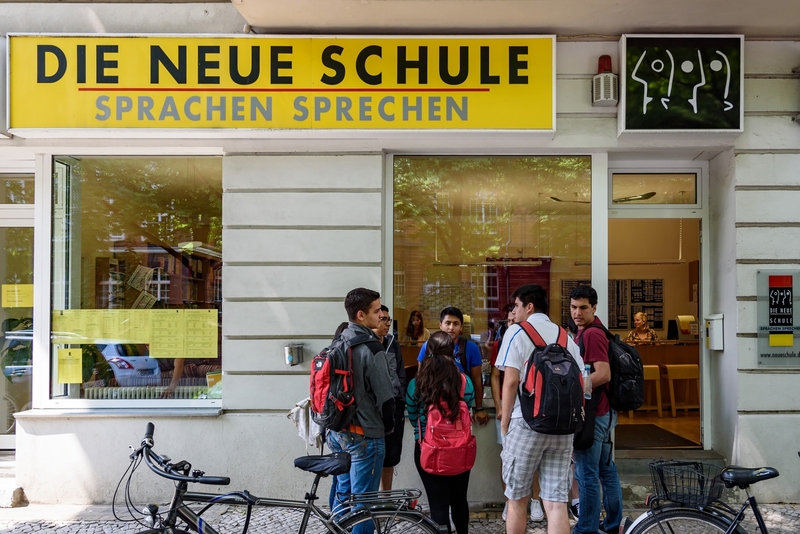 Good to know: Besides these German courses, DIE NEUE SCHULE offers a wide range of English, Spanish and Italian courses. Students have the option of three different intensive courses. 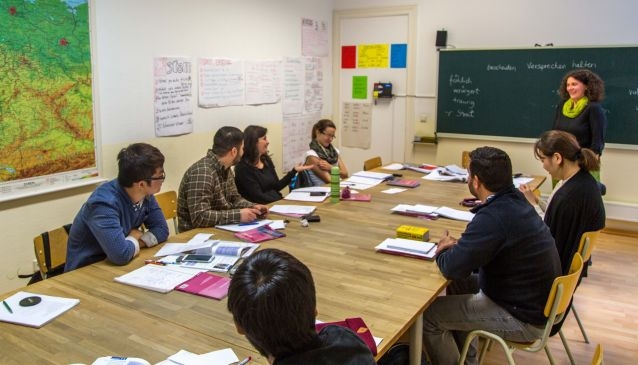 The regular intensive course offers 20 hours of tuition per week in classes with a maximum of 12 students and focuses on the four areas of language, comprehension, reading, writing and speaking. Intensive Plus adds an extra 2 classes a week which focus on conversation and listening comprehension in smaller groups. Intensive Special takes the regular course as a basis and adds in an additional 10 lessons of 1 on 1 tuition, perfect for students who want to cover a more specialized vocabulary for either work or study. Those who wish to study at a German university after a language course must in most cases take an academic German examination. 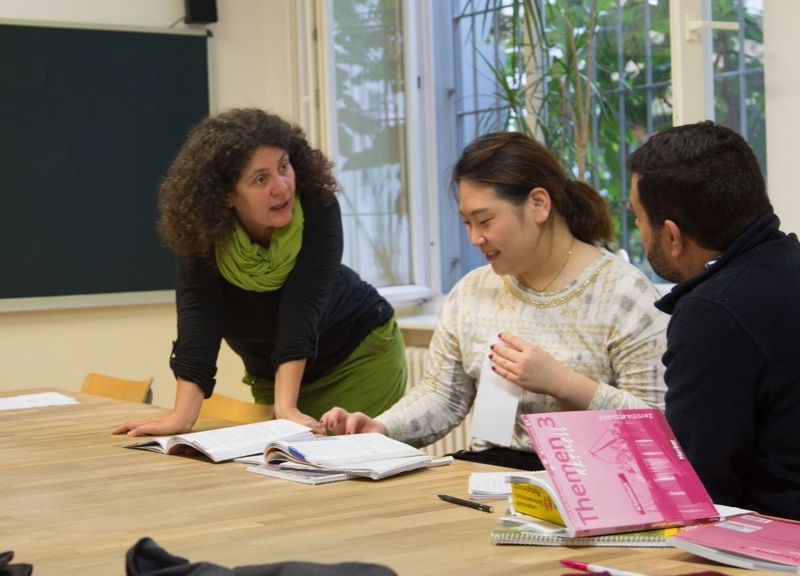 DIE NEUE SCHULE prepares students for two of those standard exams (TestDaf and telc C1 Hochschule) in specially designed courses. These comprehensive training courses will familiarize you with all aspects of the particular exam. The exam telc C1 takes place at DIE NEUE SCHULE. Class sizes for the preparation courses are kept small, with an average of five participants, resulting in plenty of individual attention from your teacher. Evening courses consist of two sessions per week, either Monday and Wednesday or Tuesday and Thursday. With five to eight participants per course, there is enough time and attention for each individual. For students who require more flexibility or a more targeted course (for specific vocabulary to prepare for study or work for example), individual lessons are a popular option. You get to set the pace and can cover the sort of material that you need. 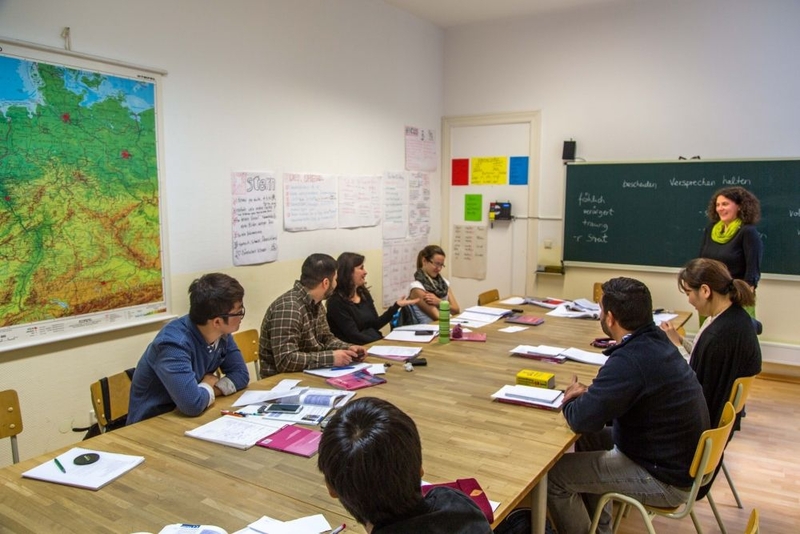 Due to the large number of teachers at DIE NEUE SCHULE, they have access to many different backgrounds and specialties, ensuring that you will always get the perfect teacher for your needs. 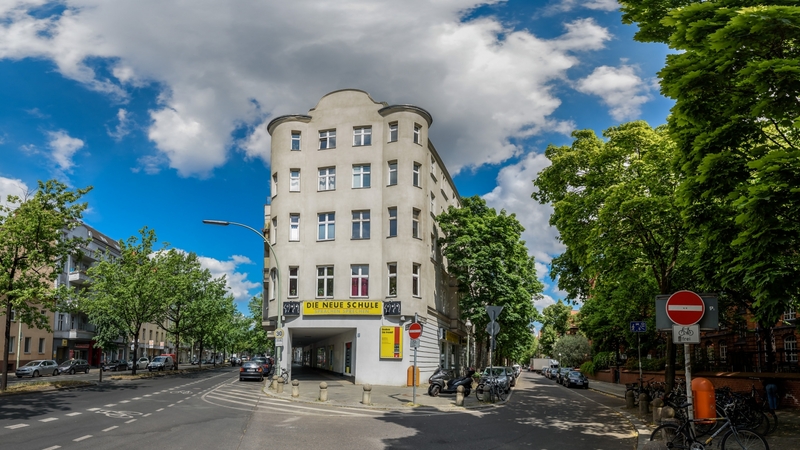 If you are working in Berlin you may be eligible to take 2 weeks paid leave in addition to your holidays, to undertake further education in courses accredited by the Berlin Senate. 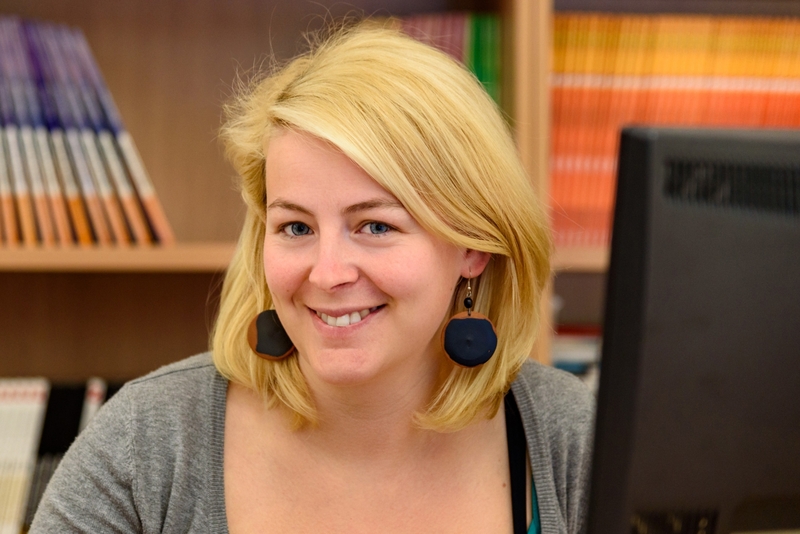 DIE NEUE SCHULE'S Intensive Special (20 group lessons plus 10 individual lessons per week) is a recognised course and a great way to brush up your German without sacrificing your holidays! DIE NEUE SCHULE has about 30 classrooms across three buildings all near the office and reception area. 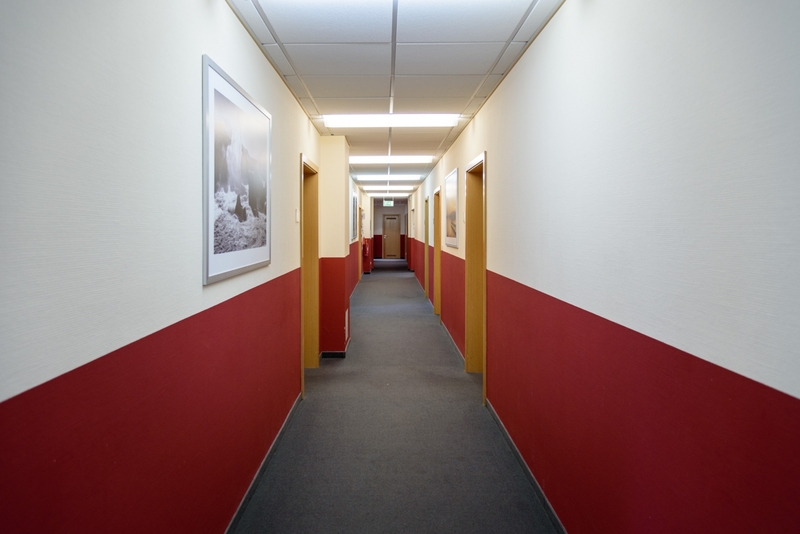 As a rule, all classrooms are bright and airy and provide a pleasant working environment. Choosing to focus on the teaching, the school has eschewed more modern teaching technologies like the smartboard, opting instead for the tried and tested, if somewhat old school, chalkboard. Free wifi is available in all classrooms as well as the office. On site, you will find a cafeteria which serves a choice of home-made soups as well as tea, coffee, cold drinks and snacks. 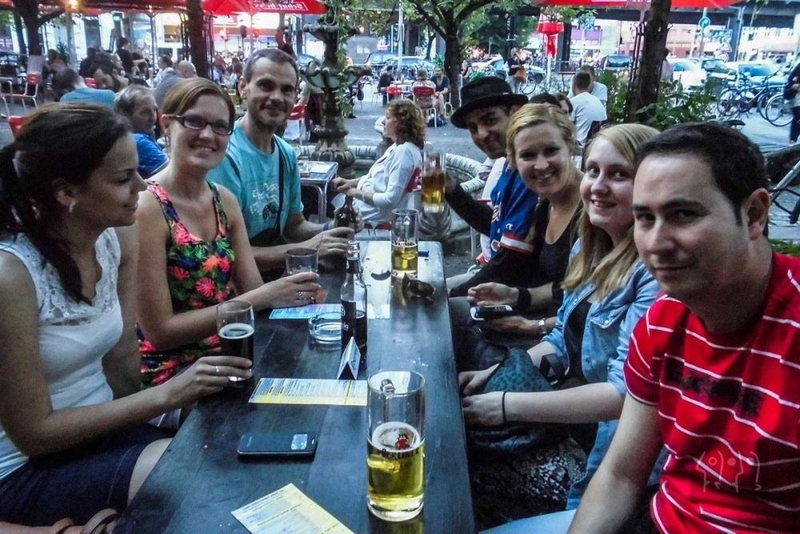 DIE NEUE SCHULE offers an interesting cultural program which includes museum visits, tours of various parts of the city, outside of the usual tourist hotspots, weekend trips to nearby cities, as well as the all important and ever popular Stammtisch (regular pub nights). The Cultural activities are organized and led by teachers, making them the perfect way to put your newly learned language to use. 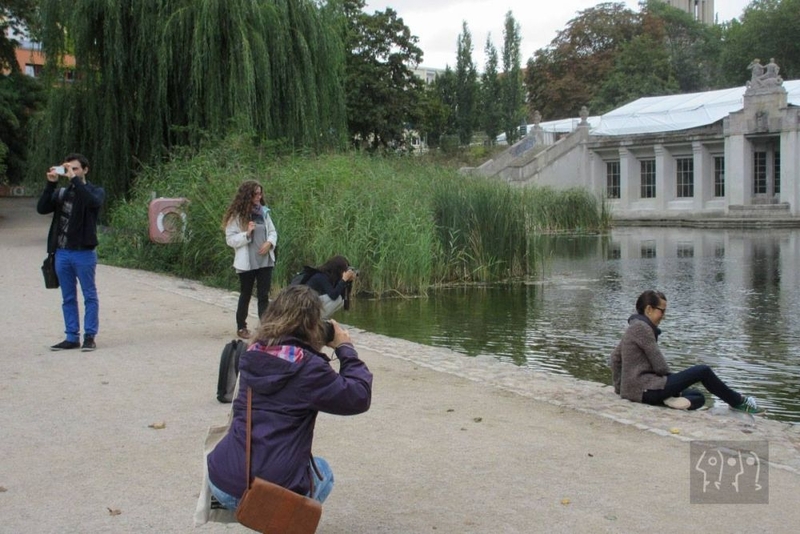 For visitors or people new in Berlin, the cultural program also offers a great way to meet people and also to explore the city. 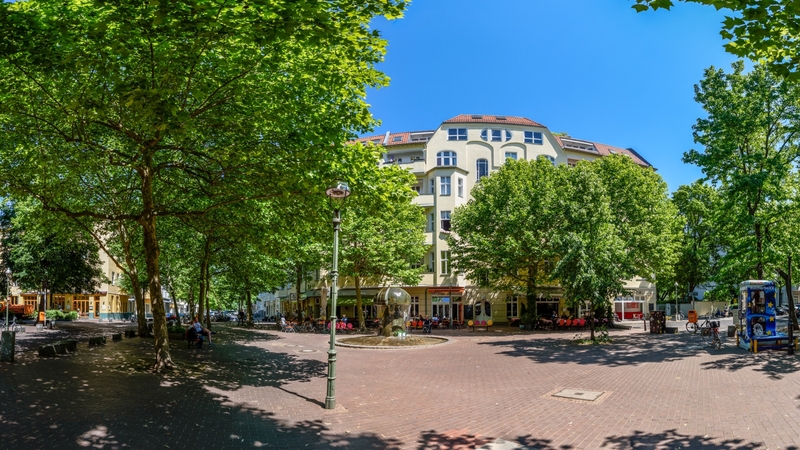 DIE NEUE SCHULE offers two accommodation options for their students: Either with one of their carefully selected host families or in their apartment. 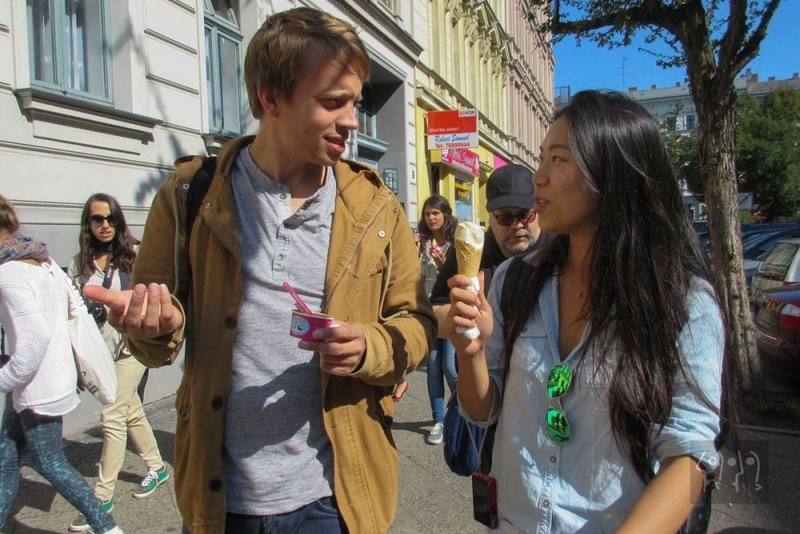 A host family offers the chance to improve your language learning outside of the classroom and is perfect for students who would rather not stay alone. A host family could be anything from a single person, a couple, or a family with children. The other option is in DIE NEUE SCHULE's private holiday apartment where you have the option of a single or double room. The kitchen and bathroom are shared with a maximum of 2 other students.